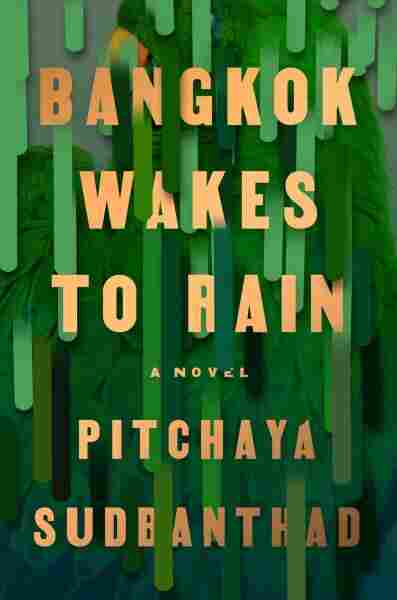 Book Review: 'Bangkok Wakes To Rain,' By Pitchaya Sudbanthad Pitchaya Sudbanthad's novel follows a broad cast of characters who gradually come together in and around a condominium tower in Bangkok. It's a promising debut that expertly evokes a sense of place. The chapter ends there, suddenly and ominously. It's a fitting beginning for a novel suffused with the possibility of menace — the characters in Bangkok Wakes to Rain endure heartbreak, disease, climate disaster and violence, much of which takes place in or around the building in the first chapter, a condominium tower that used to be a house. It's a complex novel-in-stories, and a very good debut book from a promising new voice in fiction. Bangkok Wakes to Rain straddles the line between novel and short story collection — it's broken into 23 chapters, some brief vignettes, some more substantive. The stories are linked, although this doesn't become apparent until late in the book. One storyline follows Phineas Stevens, a 19th-century American missionary and doctor assigned to work in Bangkok. He's initially uneasy in Thailand, hoping to be transferred away; he harbors suspicions of the Thai people who he's meant to treat, writing in a letter, "They are a proud, even arrogant people, having yet to come under the domain of a more advanced nation. They seem to regard our own purpose as merely to serve and sustain them in their lifelong pursuit of frivolity." Another thread tells the story of Clyde, an American expat jazz pianist who lives in the Thai capital, playing gigs to audiences comprised of Thai natives and U.S. service members stationed in the city during the Vietnam War. Clyde has been estranged from his longtime partner and lover, whom he misses dearly: "Not a word had passed between them since he left the States. The most deafening thing he's ever heard is the silence between two people." He gets an unusual request from a Thai woman, who asks him to perform for several spirits that she's convinced are living in a wooden pillar in her house. The main storyline of the book concerns two sisters, Nee and Nok, who have "veered farther in their own directions across land and sea," Nok lives in Japan where she runs a Thai restaurant with her husband, Nee, a nurse by training, works in a condominium building as a receptionist. The two are long estranged; Nee has never forgiven her sister for doing business with an exiled Thai military officer who was part of a brutal dictatorship in the 1970s. Nee's anger at her sister is inflamed by her memories of Siripohng, her lover, who was killed while protesting his country's tyrannical government. The chapter detailing his murder is the novel's most successful section — it plays to Sudbanthad's narrative strengths, managing to be affecting but not sentimental. Sudbanthad proves to be a generous author with a keen eye for unique characters, who expertly evokes a sense of place. Not every chapter works quite as well. Sudbanthad is an elegant writer, but at times, his language gets the better of him — while his writing is mostly well balanced, it occasionally tips into the florid. But when he's restrained, he's capable of writing some unforgettable passages, like this one, reflecting on the massacre of student protesters in the 1970s: "Those October dates swallowed everyone who'd been there into history's giant unlit belly, and that history into silence. The forgotten return again and again, as new names and faces, and again this city makes new ghosts." The novel's structure is a tricky one, but Sudbanthad pulls it off pretty well — he wisely lets the reader make the connections between the stories, which makes for a rewarding read. He does try to do a little too much in the novel, which isn't uncommon for a young writer with a surfeit of good ideas; the book is overly long and could have used a bit more editing. Still, that's a minor complaint — even when the novel lags, the writing makes up for it. It's not a perfect novel, but debut books almost never are. And Sudbanthad proves to be a generous author with a keen eye for unique characters, who expertly evokes a sense of place — his descriptions of Thailand are gorgeous; the reader feels transported there. Bangkok Wakes to Rain is well worth reading. It's a strong debut from an intelligent, self-assured author.